Green Giveaway – Back to School Eco-Style! Good Day my Eco-Office Gals friends! So, where does the world of online social networking take you?? For this Eco-Office Gal it’s to the momdot.com site at midnight est trying to win a contest and networking with some great business owners! So, what did I come across?? A great giveaway after my own heart! Eco-Supplies! Eco-Office Gals is all about bringing you the latest and greenest… and who doesn’t love a chance at free?! So, check out my new find! The Write Gal is thrilled to offer her first contest! For August her giveaway theme is Back to School products. She’s a teacher and LOVES Back to School shopping & fell in love when she was surfing the Internet one day and came across Stubby Pencil Studio. This company sells eco-friendly products for creative kids including stationery, pencils, art supplies, and crayons which are made from soy, not petroleum. You will also find natural play dough, non-toxic toys, and many other earth-friendly products for children. I really like their sketchbooks and journals made from 100% post-consumer recycled paper. Stubby Pencil Studio is sponsoring a FANTASTIC giveaway for The Write Gal’s readers, a whole bunch of goodies I know you are going to just love. You could win a set of 10 eco-friendly graphite pencils, a set of 10 colored smencils, and your choice of design of a 6×9 Ecojot Recycled Sketchbook – a $26 value! The smencils come in yummy scents — you get Bubble Gum, Cherry, Tropical Blast, Grape, Cotton Candy, Very Berry, Chocolate, Orange, Watermelon and Rootbeer. For your choice of sketchbook you can choose from a variety of adorable prints which any girl or boy is sure to love. The winner will be drawn on August 20th. Check out The Write Gal’s blog for product images and information on how to enter. Good Luck! Back to Eco-Office Gals news. I have not yet announced my giveaway for the month, I’m trying to give everyone a chance to re-subscribe to feedburner and verify their email. But don’t change that channel… we’ll be right back! Jennifer Smith provides Green Virtual Assistant Services to grow small businesses paperless and sustainable providing various e-services. 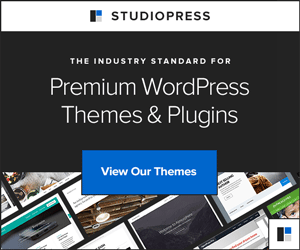 Her passion is customizing StudioPress Themes for WordPress for her awesome clients. View her portfolio here. Thanks for the great find, I love your blog, too! Did you see Leah posted almost all night… geez! Thanks for the great feedback on my site and blog! Keep in touch and if you have anymore eco-oriented giveaway you know I will promote! Grow Green! Thanks for the great find, I love your blog, too! Did you see Leah posted almost all night… geez! Thanks for the great feedback on my site and blog! Keep in touch and if you have anymore eco-oriented giveaway you know I will promote! THANKS for featuring my contest on your blog. I LOVE your blog & your Web site. What a great idea! I wonder who will win that contest over at MomDot last night. We were all so funny! LOL.